Banita Sandu’s work in October is garnering praise from actor, director and producer! 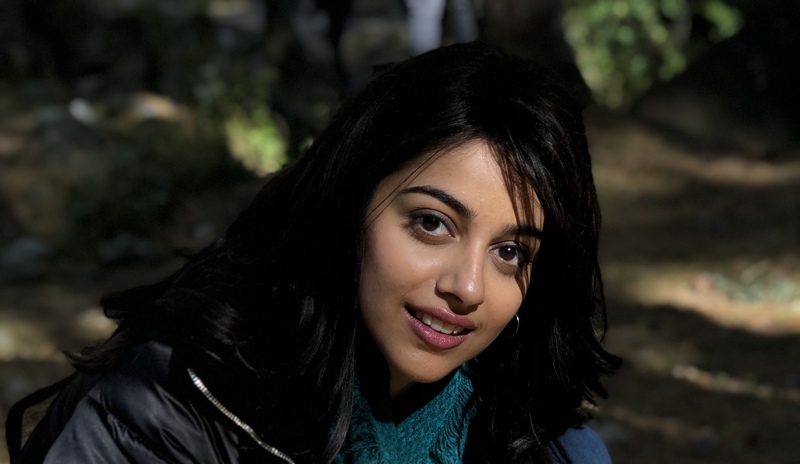 Banita Sandhu is set to make her Bollywood debut in the emotionally charged film, October, directed by Shoojit Sircar and starring Varun Dhawan that will have your hearts racing and tears flowing. Interestingly, the 20-year-old actress earlier worked with director on a commercial for Doublemint’s “Ek Ajnabee Haseena Se” song. The entire song in the ad depicts love but only with expressions and this, plus her work ethic, led Shoojit Sircar to cast Banita in the role in October. While we have heard a lot about Varun Dhawan’s character in the film, there is little that has been revealed about Banita’s role, which has only made us more curious to watch her in the film. Just like Varun Dhawan, the actress will be seen playing a hotel management student with a very complex yet charismatic relationship with the actor. The actress with her performance, has already got people close to the film praising her hard work. The actress apparently shared this problem with the director, Shoojit Sircar who helped her improve her diction further by training her through video calls. According to her, the accent was the key aspect and she wanted to learn the Indian accent which Shoojit helped her get pitch perfect. With so much praises doing rounds for Banita, we are all looking forward to watch her in the film.